Shyam Selvadurai is a Toronto-based novelist who has published work in many countries and whose writing has been translated into eight different languages. He is the award-winning author of Funny Boy, a dramatic novel set in the 1980s that is being adapted to film by director and screenwriter Deepa Mehta. His 2013 novel The Hungry Ghosts is an unconventional exploration of race, sexuality and the diasporic experience in Canada. When it comes to writing fiction, Selvadurai notes Canadian writers should focus on the authenticity of voice and perspective when it comes to building compelling and diverse characters. 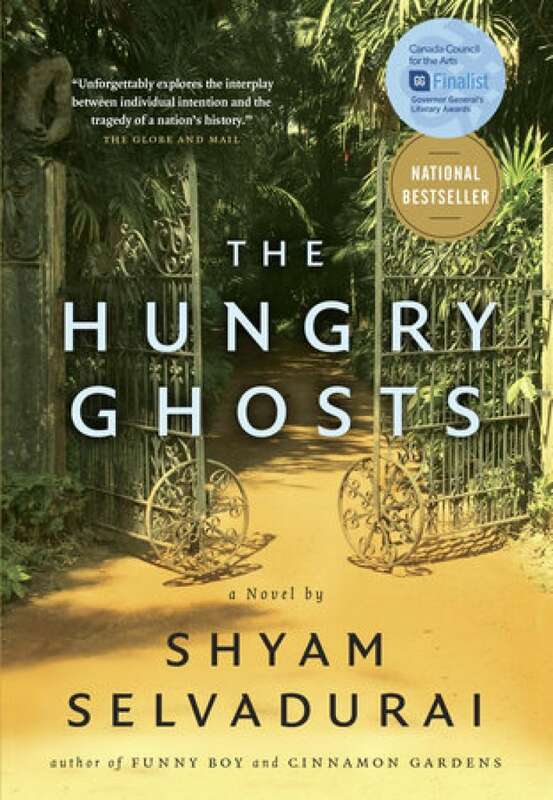 "My mindset at the time I was writing The Hungry Ghosts is I wanted to write about what it was like for me growing up South Asian in Scarborough, Ont., which is now a suburb of Toronto. That's where my family lived and I'd never seen this diverse experience in Canadian literature before. "Today, there's now a burgeoning Toronto movement that reflects diversity, particularly with works like David Chariandy's novel Brother, Carrianne Leung's novel That Time I Loved You and Kerri Sakamoto's Floating City. But when I was writing The Hungry Ghosts, that type of Canadian fiction didn't exist. I had to invent it from scratch." I wanted to affirm the lives of people like myself which were missing from fiction, Canadian fiction in particular. "I've just never really been too bothered by being boxed in a particular category, being a gay, Canadian writer with South Asian and Sri Lankan heritage. My work transcends its boxes and I feel Canadians seek out diverse fiction with a sense of personal engagement. As a writer, I wanted to affirm the lives of people like myself which were missing from fiction and Canadian fiction in particular." "I don't think of my writing as immigrant literature. It's diasporic literature. I wanted to write about it was like for my generation as a Canadian of South Asian descent. And the term immigrant always seems to imply a kind of severing of home in an old-fashioned way. That just doesn't happen anymore." CBC Books's Why I Write series features authors speaking on what literature means to them. Shot on location at Toronto's Harbourfront Centre during the 2018 Canadian Writers' Summit. See episode one with author Catherine Hernandez. Shyam Selvadurai's comments have been edited for length and clarity.